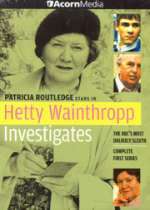 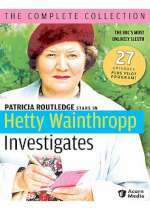 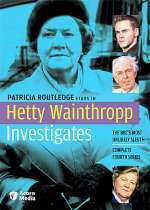 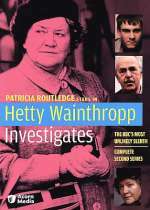 Hetty Wainthropp Investigates: Mystery and Suspense on Television. 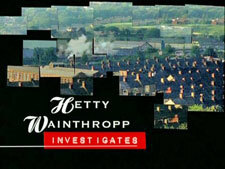 Hetty Wainthropp Investigates, a series produced in the UK, aired 27 episodes over 4 seasons from 1996 through 1998. 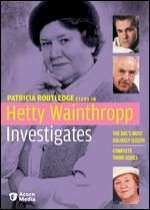 The series, based on characters from the David Cook novel Missing Persons which also served as basis for the pilot that aired in 1990 and is available separately, starred Patricia Routledge as housewife-turned-sleuth Hetty Wainthropp. 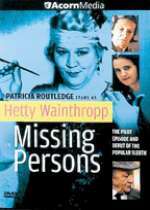 Notes: All 27 episodes of the series plus the pilot episode, Missing Persons, are included in this set.